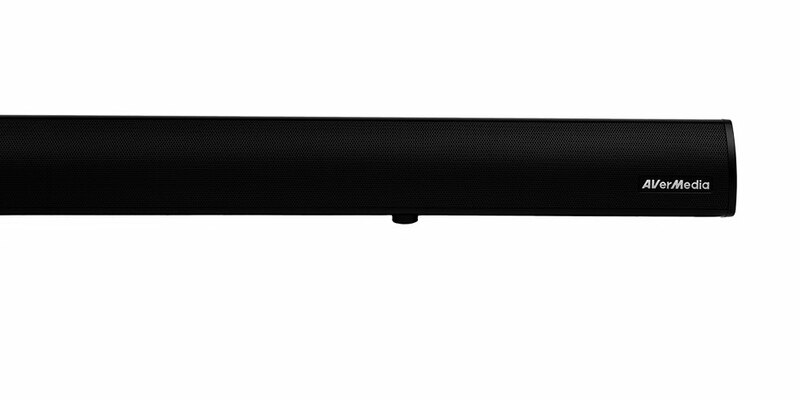 AVerMedia AS510B Soundbar is tuned to the specific sound curve configuration to bring in the enhanced highs and lows, 40 watts of rich and lifelike sound. 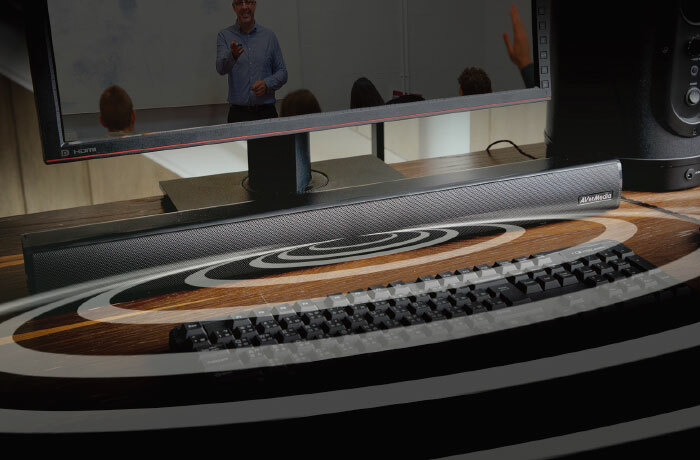 With its low profile and streamline design, AS510B can not only fit perfectly in the classroom but also deliver full, immersive sound, which is unlike anything you have ever heard from the classroom speakers. 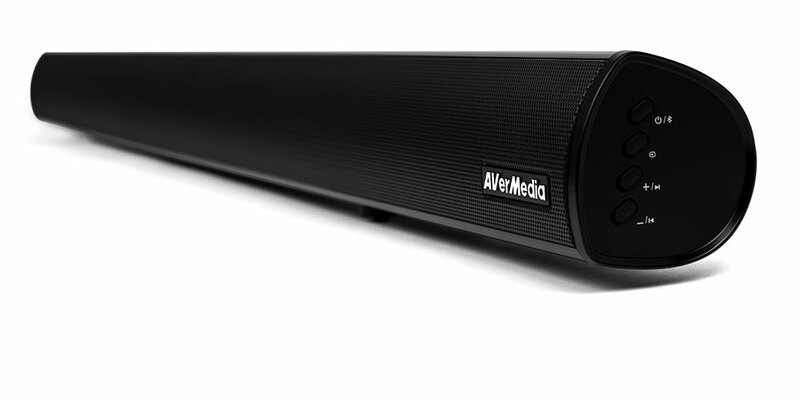 AVerMedia AS510B can also attach an accessory noise isolator in order to achieve a clear speech/lecture by eliminating the current noise in some speakers or stereo systems. 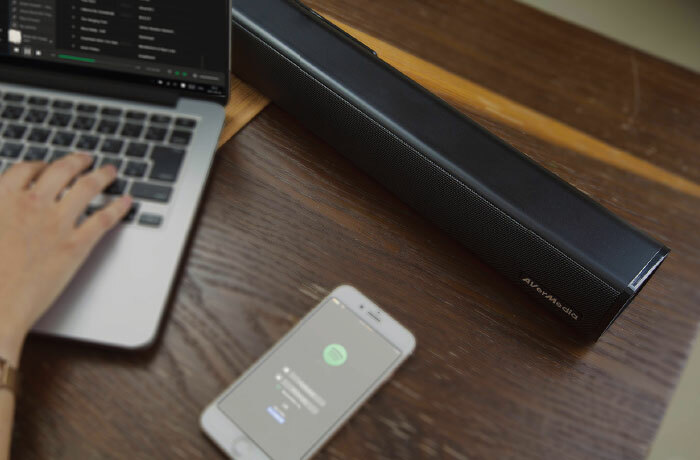 With the AS510B powered by Bluetooth 4.0 technology, you can wirelessly stream and enjoy music from your mobile devices or via services like Spotify or Apple Music. 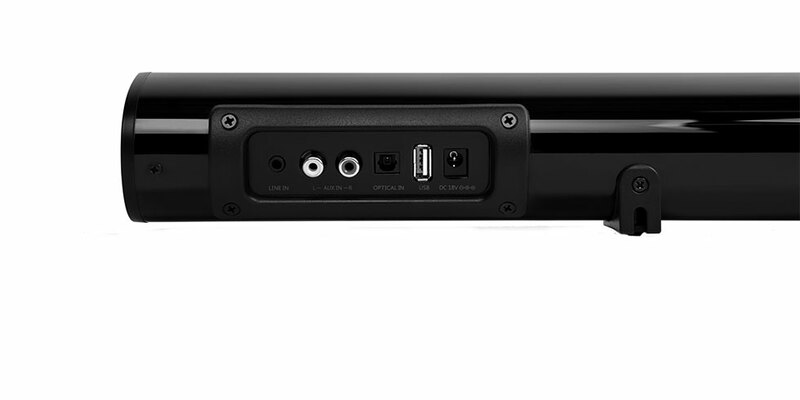 Come with side panel for easy accept to control power, Bluetooth, source and volume. 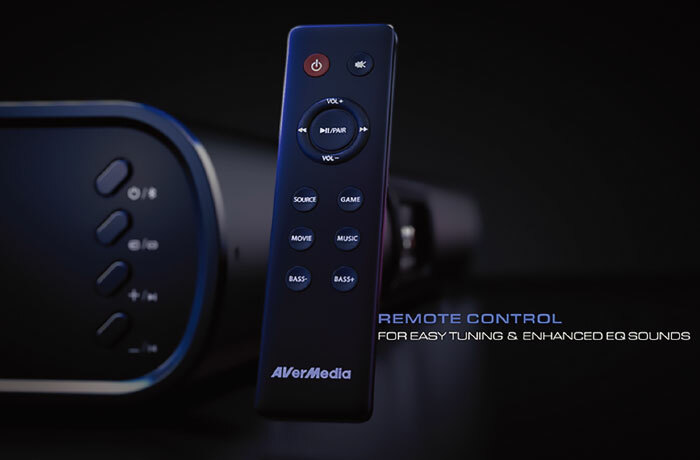 Also come with remote control for easy tuning and enhanced EQ sounds. AS510B Soundbar is tuned to specific sound curve configuration to bring you enhanced highs and lows, 40W of rich and lifelike sound.